Even the most experienced welder runs into troublesome situations on the job, and a solid knowledge of troubleshooting techniques can be essential to solving a wide range of problems. Part of knowing what to do in these challenging situations is recognizing when things are not working out and what steps to take to appropriately remedy the situation. Whether you plan on obtaining a welding certificate, welding technology degree or pipefitting training, you ought to have solid troubleshooting skills. We compiled a brief troubleshooting guide as a starting point for beginning welders to reference when learning how to solve common welding issues. These 11 troubleshooting tips are intended to assist beginning welders as they gain proficiency in the trade, and should not be practiced without prior hands-on welding training and welding experience. Sometimes problems with the chemical structure of the workpiece materials or longer hold times may cause a brittle weld. Brittle welds are discovered by testing and are characterized by the weld having a granular appearance. Brittle welds frequently fracture. Solution: Check workpiece chemistry for the appropriate welding schedule and use proper hold times to avoid rapid weld cooling. Weld force, fixture placement, and blocked access to the weld location may result in distortion of the working metal sheets. Solution: Make sure the parts being welded align properly and that the metals have intimate contact in the area that is to be welded. This problem is caused by a high weld current, high weld force, long squeeze, or long hold times. Solution: Confirm that electrode faces are parallel to the workpiece. Do not use excessive amounts of sealer. Check that parts align properly. Use the appropriate weld force, current, and welding times. Excessive current combined with small weld flanges and lack of electrode follow-up can result in molten metal expulsion from welds. Solution: Check the weld flange for correct sizing, use less weld current, do not use excessive amounts of sealer, and take care with electrode follow-up. Operator error, fixture placement error, or robotic error may result in unneeded or missing welds. Solution: Adjust robotic equipment, ensure that workpiece weld locations are marked properly, and take more care in weld placement. These are created from excessive current, low force, expulsion, and other troubles. Solution: Look for proper functioning of air or hydraulic system, make sure hold time is sufficient, check electrode dressings, allow sufficient time for cooling, make certain that squeeze time is not too short, check that weld current is not too high, and use the proper amount of weld force. This issue can be a consequence of an electrode being placed improperly, difficulty in reaching the weld locations, or defects in parts that cause the welds to be misplaced. Solution: Make sure electrode faces are parallel to the workpiece and are aligned properly. See that the correct tip is used and that the weld flange is not too small. Verify if the parts fit together properly and the weld location is in the correct position. Work metal variations and changing electrical or mechanical connections may produce inconsistent welds. Solution: Ensure that material is not dirty, take care that electrode does not skid or slide, do not use excessive sealer, check electrical connections, look for proper part alignment, avoid shunting of guns or parts, confirm that the weld location is correct and use the correct cable/shunts. This occurs when the welded materials break apart because they are stronger than the weld. Solution: Make sure the hold time is not too short. These weak-bond welds come from the use of insufficient weld current in combination with high weld force. Solution: Check electrode for excessive wear, use correct tips, ensure that weld current is sufficient and weld force is not too high. This is caused by attempting to weld damaged or dirty parts and/or using incorrect welding techniques. Solution: Inspect parts for damage and cleanliness. Check gas flow and confirm that the gas hose and connections are secure without any leakage. Make certain that electrode size is appropriate for the welding job and electrode is not contaminated by grease or impurities. If necessary, regrind the electrode. Double check the size and quality of electrodes, and note that different batches of electrodes may have different carrying capabilities. Look for adequate collet contact. Oxidation of an electrode during cooling is avoided by keeping gas flowing up to fifteen seconds after arc terminates. Check gas purity for oxygen content and moisture. When the electrode alloys with the base metal, use less current or larger diameter electrode. Inspect electrical cables. Direct straight-line connections are best that avoid excessive coiling of cables, which reduces electrical flow. Make sure connectors are of the correct size and type to not interrupt the power flows. These are some basic troubleshooting concepts. However, a beginner or aspiring welder will need welding training to implement any of these techniques. Aspiring welders can benefit from the vocational programs at TWS, which provides students with comprehensive in-class instruction and extensive hands-on practice. 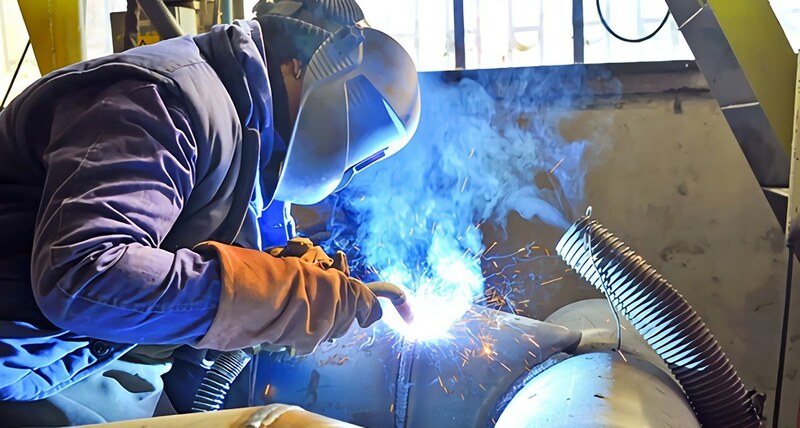 Contact a Tulsa Welding School representative to find out more about welding classes.